Free Education About Binary Options Trading Tricks. Since 19 March 2019 from a demo account. If you prefer to continue with us please use this (http://binarylk.blogspot.com) website or visithttp://racinggamesblogger.blogspot.com to click a banner to make your binary options trading account.click a banner to make your binary options trading account. You Can Use Our Links To Make Your Binary Options Trading Accounts To Support Us To Help You More. You will receive the same benefits from these binary options brokers whether you use our links to make your account or not. In additions we can give you extra support and sometimes we can tell the brokers to give you more benefits to you for using our links. **Forex & Binary Options Risk Warning / Disclaimer: Forex and Binary options trading are high risk investments. It's possible to lose your entire deposit if you play the Forex or Binary Options market. That being said you should only deposit what you're able to lose and nothing more with any Forex or Binary options broker! You Can Use Our Links To Make Your Binary Options Trading Accounts To Support Us To Help You More. You will receive the same benefits from these binary options brokers whether you use our links to make your account or not. In additions we can give you extra support and sometimes we can tell the brokers to give you more benefits to you for using our links. Forex and Binary options trading are high risk investments. It's possible to lose your entire deposit if you play the Forex or Binary Options market. That being said you should only deposit what you're able to lose and nothing more with any Forex or Binary options broker! 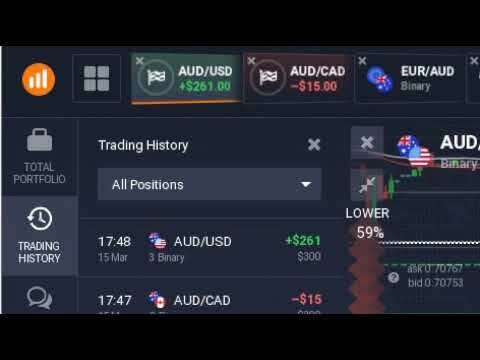 Sample Trading Video from a trader who use a 60 seconds (1 minute expiry) binary options trading method. 60 seconds chart is sometimes stressful and it requires a high level of intelligence to take decisions quickly. And it requires a good money management plan and a strong trading method too, but it is difficult to confirm the best entry to trade to confirm the winning rate, so sometimes it is unexplainable. Currently I can give a 60 seconds method that I made and practiced, but it might not work for everyone. I can teach you that 60 seconds method, but you will need to develop that method to make profits from it. I don't teach M5 method yet, because it requires some skills too. But from 2017 I started to practice the M5 method after some further developments, and it is working for me very well. Maybe it will be available to learn later. What are the benefits of Binary Option Trading? 1.) You don't have to worry about Stop Loss And Take Profit, because it is predetermined. So you know the amount you will profit or lose. 2.) You can use tricks to trade Binary Options instead of using complex theories to analyse the market to trade, because it doesn't have a long target to achieve and it requires minimum 1 pip to win, which allows us to be relaxed after opening a trade. 4.) We can take profits within a small duration of time, without waiting a long time till it hit a target. And the frequency of trading opportunities are good with the help of Alert Indicators which we can use to find good opportunities with less effort. What is the risk of Binary Option trading? You should have a trading method with minimum around 55%-60% winning rate, because it has always around 1:1 (~= 100:95 or 100:80) Risk:Reward ratio, and after opening a trade you can't change your decision to close the trade before the expiration, which can lead to lose from careless trades, because only 1 pip can make a loss (depends on the trading instruments and Binary brokers. ).